When road-building along The Annapurna Circuit (aka, The Apple Pie Circuit) began seven years ago, the widespread prediction was the days were numbered for this world famous trek. Ironically, the rush towards modernization has saved the route by inspiring expansion into undiscovered areas away from the roads. “ACAP began to hear grumbles from lodge owners and travelers, and we searched for solutions—alternate trails,” Lal Prasad Gurung, Director of the Annapurna Conservation Area Project (ACAP). The circuit route in central Nepal has long been considered a trek of a lifetime for its natural and cultural attractions. Its glorious centerpiece is Annapurna I (8091 m, 26,545 feet), the world’s 10th highest peak and one of only fourteen soaring above 8,000 m (26, 247 ft). Although traversing alpine territory, the trek begins in the lowlands of the sub-tropics and gradually ascends to its high point, a pass known as Thorang La, 5416 meters (17,769 ft), revealing extraordinary geological, ecological and ethnic variance along the way. “It feels as if you are visiting the home of the Divine,” Stacie Dooreck, yoga instructor, USA. This region receives the most tourists per annum of Nepal’s trekking destinations; over 88,000 foreigners visited in 2010 (comparatively, the USA’s Yosemite National Park received over 4 million visitors in 2010!) Nepal’s second busiest region is Solu-Khumbu (the Everest region) with less than half of Annapurna’s numbers but increasing, however, frequent bottlenecks at Lukla airport prevent unlimited growth there. Before road construction in the Annapurnas began in 2005, the aerie villages of Manang and Jomsom were inaccessible but for a week of hiking, horseback or plane ride. Upon completion, roads will foreshorten the traditional trekking circumambulation by some 185 km (115 miles). The previous 215 km (135 miles) will be reduced to about 30 km (19 miles)! A rugged road to Jomsom is already in place, barring seasonal monsoon washouts, while construction work remains on the Manang side. Given that 85% of the original route would be obsolete on completion, both locals and trekkers had deep concern for the area’s tourism future. “We worried that tourists would not want to come here anymore,” Devi Gurung, Jomsom. A rough road has been cut above the Kali Gandaki River though the world’s deepest gorge to Jomsom, Headquarters of Mustang District, and beyond to the medieval settlements of Kagbeni and Muktinath. Muktinath is a magnificent site of a temple mentioned in the Hindu epic saga, the Mahabharata, circa 300 bc. It is a major pilgrimage destination in a poplar grove at the base of the steep grade to the Thorang La Pass. The temple is patronized by both Hindu and Buddhist devotees and considered sacred for the flames (burning natural gas) emanating from a fissure in some boulders near a small pool of water. A shrine has been built up around the site which is revered for its unification of fire, water, earth and air and complemented by a spring-fed array of 108 bulls-head brass water spouts used for ritual bathing. Additionally, ammonite mollusk fossils from 140 to 160 million years old, remnants of the prehistoric Tethys Sea, can be found in the area. The relics are considered by devout Hindus to be representations of Lord Vishnu. Travel by foot to this venerated temple was the centuries old tradition, and is still considered the most auspicious way to arrive, although motorbikes ply the route to the gates of the ancient temple itself, depositing some pilgrims with an ease unimaginable to previous wayfarers. As trekkers descend from the Thorang La high pass, an abrupt re-introduction to combustion engines awaits. However, newly marked trails escape the road with a detour from Muktinath to Jomosom via the hoary village of Lubra, site of a rare Bon monastery, and thereafter, alternate sections exist along the eastern side of the Kali Gandaki River down to the rejuvenating hot springs of Tatopani with a recently built bathing pool on the east side. From there, a route has been established to a lodge at Khopra Ridge. “The panorama from Khopra Ridge of Dhaulagiri [world’s 7th highest peak, 8167 m, 26,794 ft], the Annapurnas and Baraha Shikhar, Tukuche Peak, and Nilgiri is unrivalled and the lodge there offers beds, food and warm drinks,“ Mahabir Pun, local resident, developer, and recipient of the 2007 Ramon Magsaysay Award for Community Leadership. Along the eastern valley, completion of the road to Manang Village is several years away, yet, detouring around construction crews is not much better than the annoyance that vehicles will bring to foot travelers. To be sure, the classic trail will never be the same. That said, the contiguous road reaches Chame, administrative center of Manang District, the most sparsely populated district in the country at 3 people per km². An increase in wealth led to exodus from the region and abandoning of traditions of animal husbandry and subsistence farming. Nepal’s 2011 census found Manang District had the lowest decadal (2001-2011) growth in Nepal at negative 32%. Chame is a little over halfway to Manang Village and can be entirely avoided along the first section and points in between. Alternate routes and detours are being established for trekkers including a trail that crosses the Marsyangdi River from Besisahar, the traditional starting point, to escape the roadway until Shyange, two days ahead. Another option is a splendid detour that follows high on the other side of the Marsyangdi River far above the roadway through villages that have not seen a fraction of the tourists of the main route. From Manang village, several side routes offer otherworldly attractions, including north towards Khangsar, an ancient hamlet en route to one of the highest lakes in the world, Tilicho Tal, 4919 m (16,140 ft), mentioned in the Hindu heroic saga the Ramayana. Of course, there are benefits to modern vehicular transport although travel will be slow going and jarring at best. Residents not involved in the tourist trade are pleased with the prospect of motor travel and eager for the opening of markets for local goods, mostly fruit and its byproducts, eg, brandy, jam. However, feelings are ambivalent for those along the traditional route who have relied on the tourist industry for decades. The good news for them is that the domestic and Indian tourist market is picking up given the access to pilgrimage sites and the roadway is also favored by bicyclists. 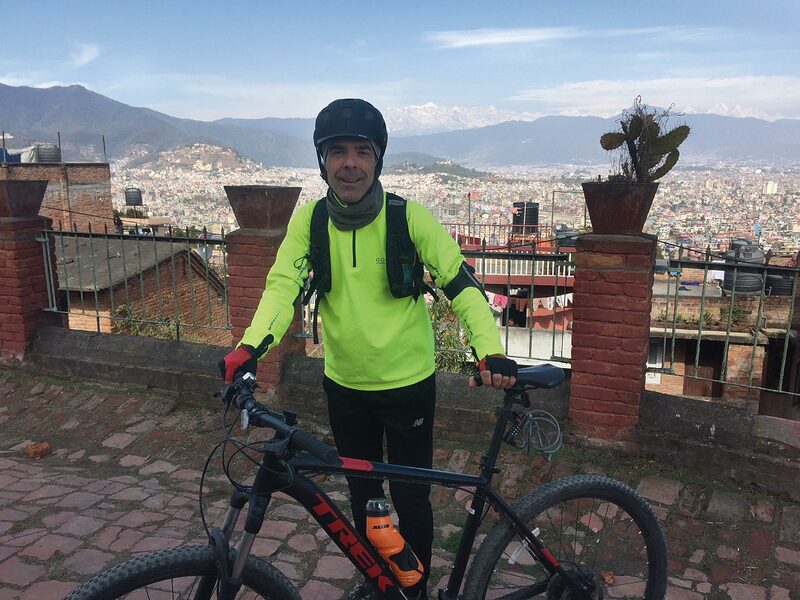 Some mountain bikers are even having their bicycles carried over steep sections including the Thorung La to complete the circuit on two wheels! Moreover, the Annapurna Sanctuary, a breathtaking tabernacle set in a cirque of snow-capped mountains, will not likely ever have the intrusion of a road. Settlements after the village of Chomrong were especially built for trekkers to whom a jeep or bus ride into the amphitheater’s 4000-plus meter (over 13,000 feet) would be profane. 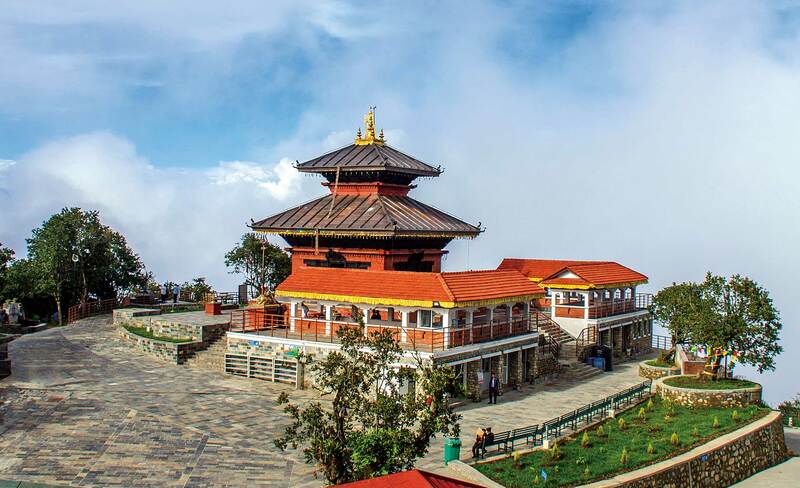 This open-sky, inner shrine, offers nearly 360° of the surrounding Himalayan goddesses. Despite road building, the Annapurna Region continues to provide a bounty of attractive options for trekkers. Since 1967, when Jimmy Roberts, considered the father of modern trekking in Nepal, took a commercial group to the region, visitors have found and continue to find exceptional hospitality and unsurpassed panoramas in one of the world’s favorite trekking areas.